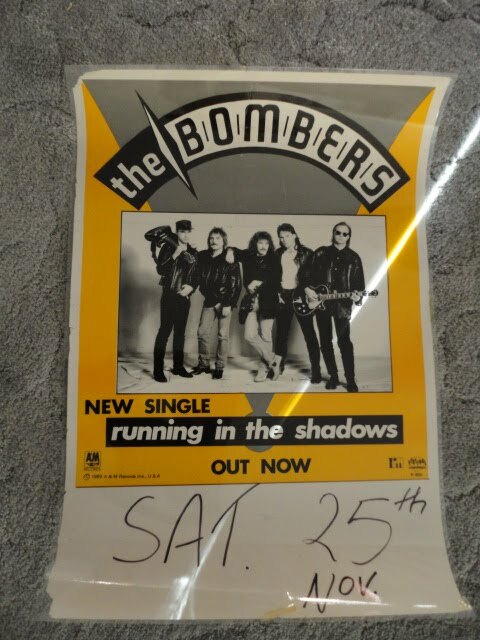 There is some info out there on 80’s Australian rock band The Bombers – much of it incorrect – written by people who were not there. Well you know what ? The Rockbrat WAS there – from the very beginning – and it is time that some accurate info on this killer outfit was made available. I’ll do my best ! These are my memories with places and dates as accurate as can be. loved it. 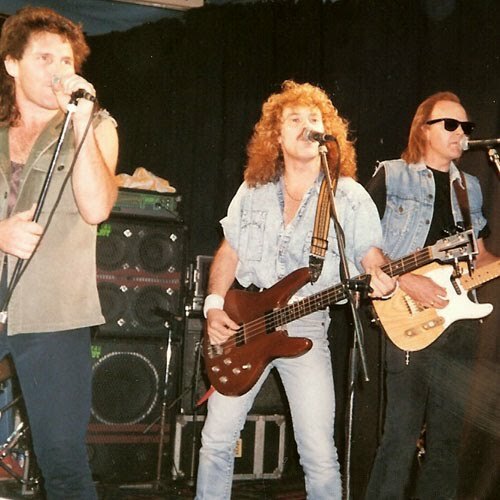 Co-incidentally, The Party Boys supported AC/DC on the 1988 Aussie dates – with Borich, Brewster and Swann, no doubt happy to open the shows for some old friends. 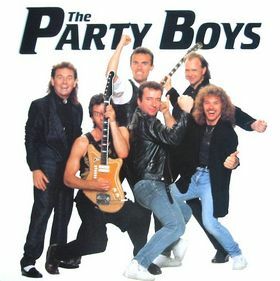 The last time I saw the Party Boys was at a free outdoor concert in a park at Kitchener Park in Mona Vale on Sydney’s Northern Beaches in early 1988. Ex-Rainbow vocalist Graham Bonnet did guest vocals during that show…..
at the Conservatorium of Music. 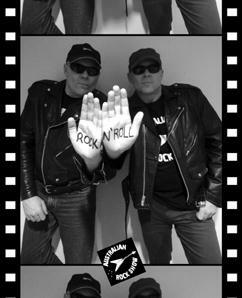 Who better to fill the drum stool than John Coghlan – Alan’s rhythm pal from Quo ? and that was the line-up. 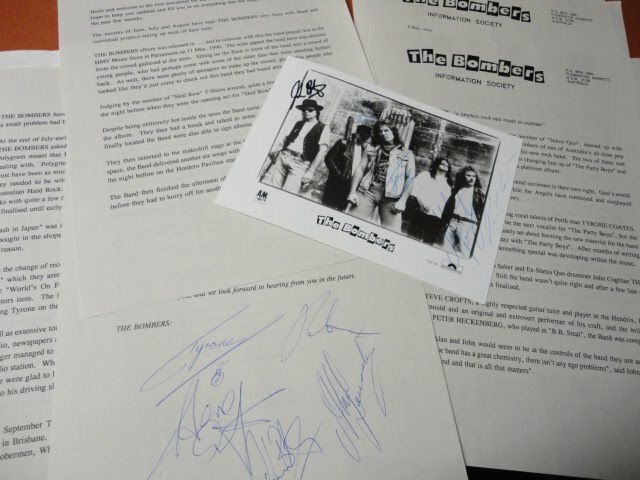 I would go on to see the band many times at different Sydney venues – (even a show where the stage overlooked Manly Beach) but the run of shows they did at Crows Nest in late 1988 and early 1989 were my best memories. 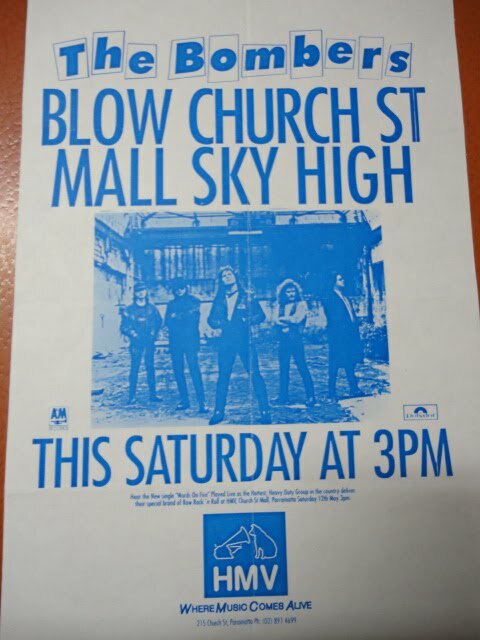 The into track of AC/DC’s ‘Long Way To The Top’ would blast out – Bon’s shrilling voice cutting through the beer and smoke filled air with an abundance of genuine excitement – no one knew better than Coghlan, Lancaster and Brewster, just how hard that rock n roll road is. Second song into the set was always ‘Roll Over Lay Down’ and the place just rattled and thumped ! To hear Lancaster growl his way though Roadhouse Blues or the band take on the Angels tune Marseilles – was to hear rock n roll in it’s stripped down – purest form. Coates was a wonderful front man who was a top notch saxophonist to boot. His soaring vocals range was ear shattering – and suited the tunes perfectly. The flashy Salter would not see the distance with the band and was replaced by the no-nonsense blues-rock sounding guitarist in Steve Crofts. 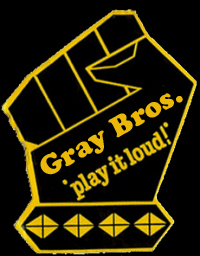 There was talk of an album being recorded – with major labels expressing interest. Coghlan would also return to the UK with his drum stool filled by Peter Heckenberg, who I’d seen drum with HM outfit Boss. The first single released was popular live track ‘Running In The Shadows’ – with some live-tracks on the flip side recorded at Crows Nest ! Listen carefully and you can hear me yell during Marseilles. The album was called Aim High and whether the label did not get behind it, or whether the kids were looking elsewhere – I do not know. 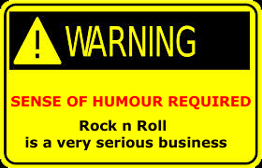 It’s a great rock n roll album – read my review elsewhere in this blog. It was released in Europe with a different sleeve (a purple sky). They supported Alice Cooper and New Jersey outfit Skid Row, but by 1991 it was pretty much all over. 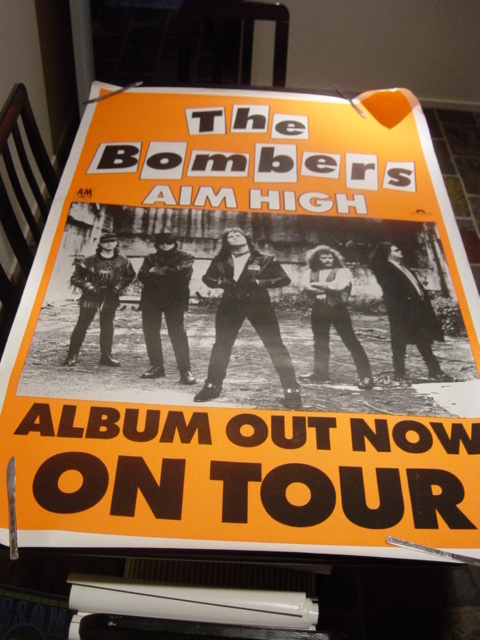 If ever a band should’ve tasted success it was The Bombers. Go chase the album down – watch the videos on YouTube and judge for yourself. Good music remains timeless – and memories last forever. 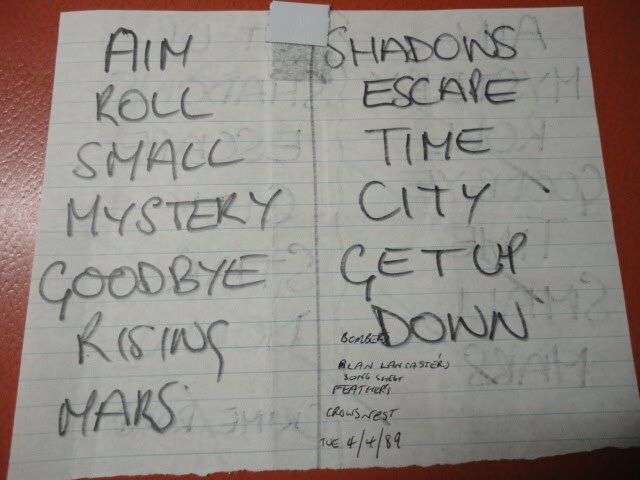 My memories of some great rock n roll night with Alan Lancaster, John Brewster and Tyrone Coates will last forever – and if they ever invent a working time machine – I am setting the thing to December 1988 and strapping myself in ! 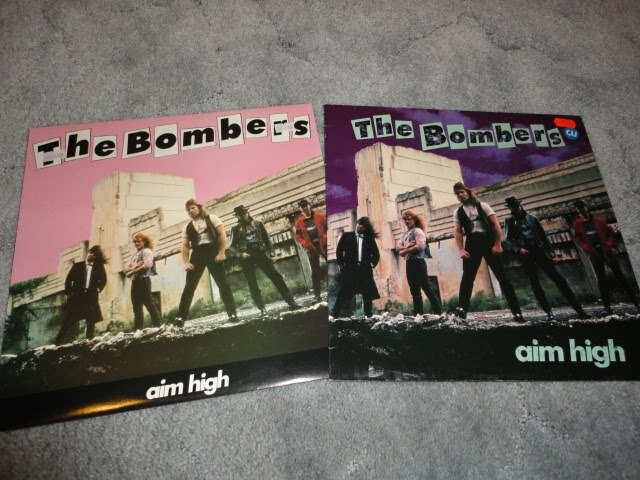 Australian (pink) and European (purple) vinyl copies of ‘Aim High’. There are some Bombers video clips on YouTube. Christina, very sad to hear of Steve’s health issues. 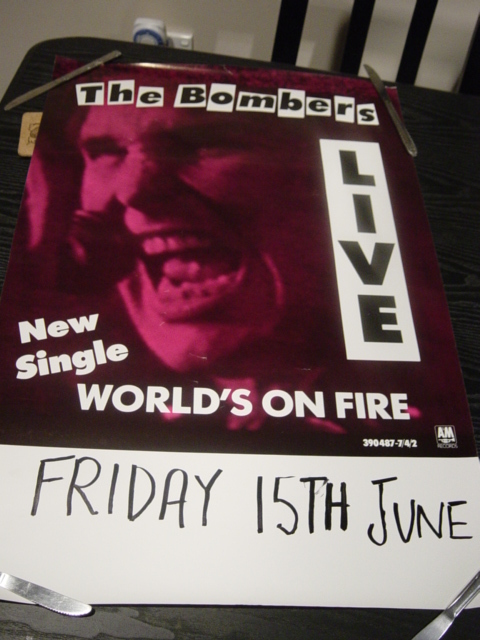 Agreed…the Bombers were world class, and to see a band of that calibre in some of those tiny Sydney venues was amazing. Steve and the Bombers are remembered fondly – we send our best wishes…. Hi, I remember The Bombers very well because I was there too! My boyfriend and I followed them to gigs all over Sydney. I remember their fan club organisers well. They were a couple of ‘rock chicks’ who lived in Auburn, but their names escape me now. John Brewster gave me his harmonica after a gig one night, which I kept for many years. 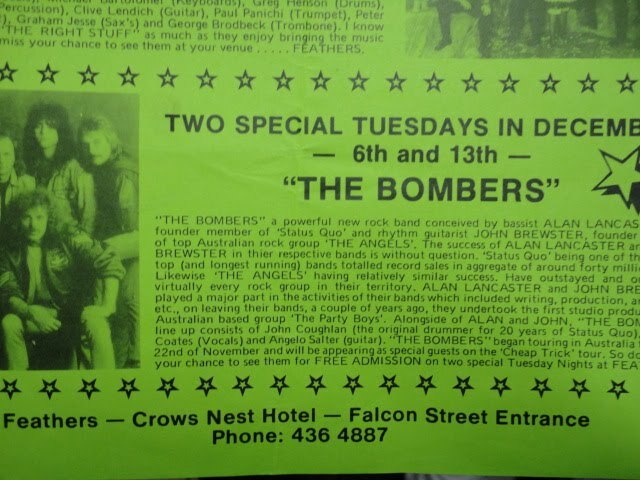 It never made sense to me that The Bombers never made it big. They had all the right ingredients and all the right talent. I just started thinking about them tonight after watching Blood & Thunder: The Sound of Alberts on the ABC. Seeing the Brewster brothers being interviewed jogged some long forgotten but happy memories. Anyway, I thoroughly enjoyed your piece on The Bombers. Thanks.